Make your next move! 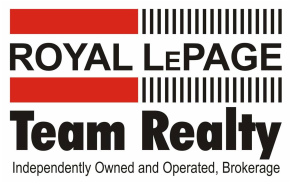 - Paula Hartwick, Sales Representative for Royal LePage Gale Real Estate. Helping clients make their dreams of home ownership a reality. Buying or selling real estate is more than just a business transaction - it can also be an emotional and potentially stressful experience. Our goal as your REALTOR® is to assist you in making your next move as smooth, enjoyable and stress-free as possible. Worry-free living can be yours in this fantastic 3 bedroom, 1.5 bathroom town house on a quiet cul-de-sac near shopping, restaurants and school/daycare. New Listing & OPEN HOUSE! A gorgeous home in a wonderful Arnprior community. This 2016 built Sophia model is a large, open concept home in Village Creek. Danielle and Paula are a fantastic team. Never made us feel like the 10th question that day 5 days in a row was too much. Highly recommend this duo for helping you find a home that you will love. When it came to selling our home Paula Hartwick and Danielle Oakley were great to work with. They were very professional and knew exactly how to present our home to buyers. They were also very helpful in providing information to us first time home sellers who didn't really know what we were up against. They were always available to answer any questions we had, and to guide us through the whole process. We will definitely be using Your Valley Life Real Estate for any future real estate needs!! Almonte, Arnprior, Calabogie, Carleton Place, Carp, Constance Bay, Dunrobin, Fitzroy Harbour, Kanata, Nepean, Ottawa, Pakenham, Renfrew, Renfrew County, Stittsville, West Carleton, and many more.